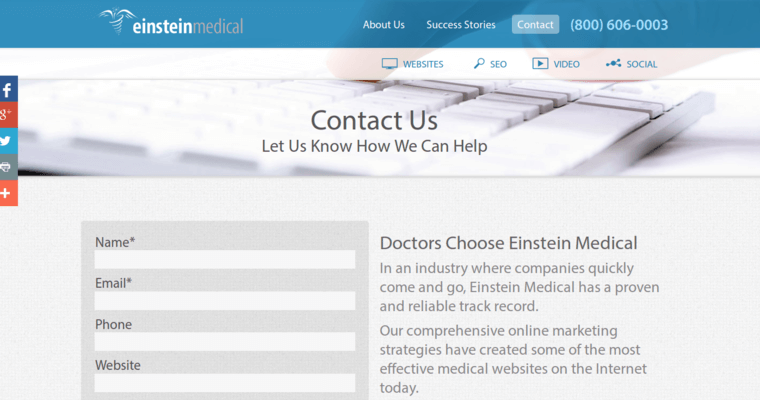 Einstein Medical offers SEO services for the medical industry. 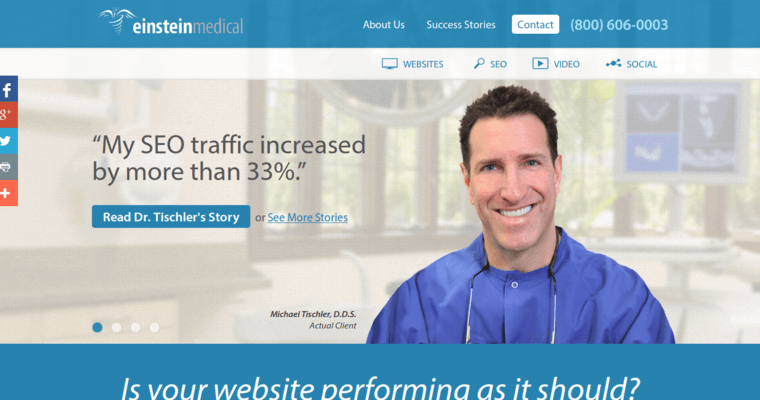 Among the major services offered by Einstein Medical include Website Design, SEO, Video Creative & Production and Social Media. 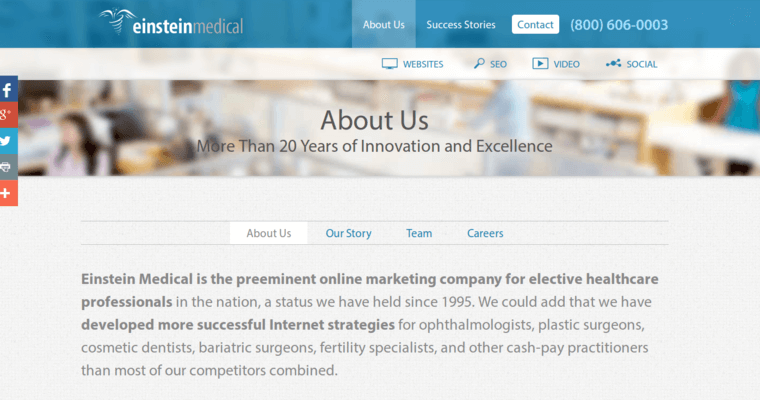 Specific SEO services offered by Einstein Medical include Content Optimization, Local SEO, Link Building and SEO Audit. The firm uses a number of strategies and tools to build high quality websites including A/B Testing, User Testing, Heat Maps, Golden Ratio Design and Grid Design. The firm has worked with medical clients across a number of specialties including Ophthalmology, Dentistry, and Cosmetic Surgery. The firm also operates DocShop®.com, a healthcare resource for consumers. Einstein Medical is located in San Diego.